Women face different financial considerations, you may be the primary breadwinner, run the household, take care of children and/or elderly parents all while bringing your families together. I use our exclusive Confident Retirement® approach to help my clients feel more confident about their, and their loved ones, financial future. I am personally invested in helping them plan for and enjoy the full and rich lives they’ve earned. In addition to doing the work she loves, Susan enjoys playing disc golf and regularly hikes and practices yoga. She serves on the Board of Directors for the non-profit organizations Prosperity Works and Good Radio Shows. Susan is an accomplished seminar speaker, who has presented on the basics of Wills, Trusts and Estate Planning, Financial Planning, Social Security and other topics. 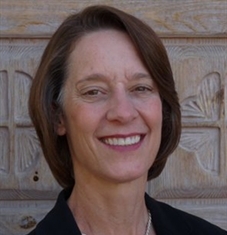 Susan is an attorney licensed in New Mexico, and assists clients and others with basic estate planning, including Wills and Powers of Attorneys. She has been a member of the Society of Financial Service Professionals since opening Q Financial Planning in 2010. Susan has served as a member of the board for non-profit organizations Prosperity Works and Good Radio Shows, Inc. since 2014. She previously served on the Big Brothers Big Sisters of Central New Mexico Foundation Board, and has assisted other non-profits with fundraising.